a new spring-coiling machine for one of its factories in Cornwall. This is one of the latest large-scale high-end spring-coiling machines to come out of the Wafios factory in Germany, and European Springs & Pressings is one of only two manufacturers in the world to have one. The company’s spring portfolio now includes CNC wire diameters from 0.03mm to 17mm. 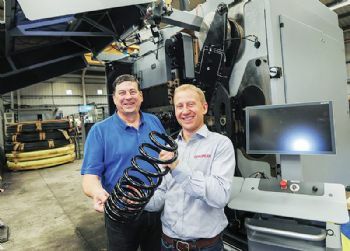 Michael Gibbs, managing director of European Springs & Pressings (www.europeansprings.co.uk), said: “Investing in this quality of machinery is testament to our dedication of being a world-class spring manufacturer. "Lesjofors, our parent company, is committed to investing in the UK and has consistently recognised the forward-thinking nature of our management and the unrivalled quality of our production and lean-manufacturing processes. 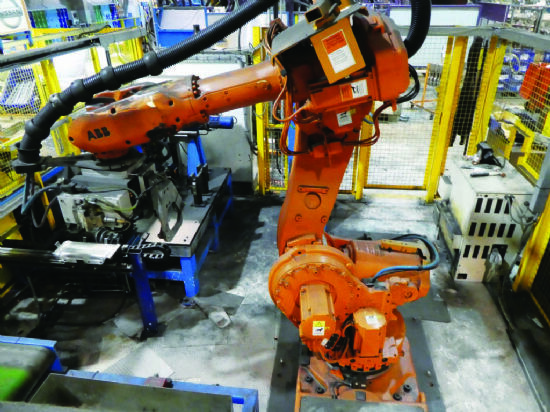 “We have just opened a second factory in Cornwall, dividing our automotive and industrial specialisms across two locations.